During the last three years, almost 100 Tibetans have committed suicide by self immolation to protest conditions under Chinese rule. The wider world has been slow to respond to these protests and reluctant to “re-examine how it [has] acquiesced to China’s Tibet policies.” Meanwhile the Chinese government has painstakingly ensured that news of the protests does not circulate freely within its borders. Katie Lin is a freelance multimedia journalist who recently returned from India where, in partnership with the Tibetan Centre for Human Rights & Democracy (TCHRD) she produced a short documentary on the self-immolation protests. 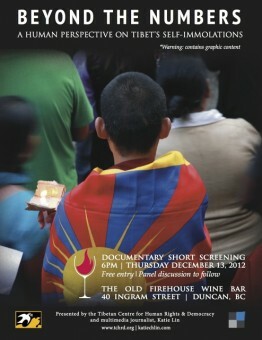 Beyond the Numbers: A human perspective on Tibet’s self-immolations, can be viewed here. On June 10, 1963, a Buddhist monk positioned himself in a meditative pose on a stretch of hot tarmac in the Vietnamese capital of Saigon [now Ho Chi Minh]. Moments later, he was engulfed in flames. Thích Quảng Đức’s extreme action was captured by an American photographer, and worldwide circulation of this iconic image subsequently brought about the collapse of the oppressive regime he was protesting against. Forty-six years later – and just one year before a Tunisian street vendor would set himself on fire, sparking the Arab Spring – a young Tibetan monk set himself alight in protest against increasing religious repression by the Chinese government. But somehow, his self-immolation didn’t inspire reaction and reform in the same way that it did in Vietnam and, later, Tunisia; nor was news of the self-immolation picked up by mainstream media. 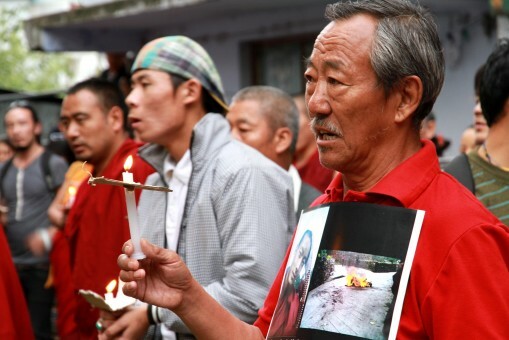 As the number of self-immolations now approaches 100, since 2009, questions surrounding their efficacy are beginning to surface: why are Tibet’s self-immolations garnering so little attention, when similar protests in smaller numbers have proven successful in the past? In a struggle that has lasted over half a century, it’s not surprising that the Tibet issue has lost its news appeal. But aside from this, there is a much simpler explanation for the lack of international reaction to the most recent events (beyond statements of support). The Chinese government has successfully created fear in both the international and domestic realms. With many countries now engaged in lucrative business negotiations with China, the possibility of economic prosperity – or failure – is essentially riding on the state of their diplomatic ties with China. Within China, and in relation to Tibet, the government, along with the unwavering support of the state media and improved propaganda techniques, has gone so far as to publically identify His Holiness the Dalai Lama as a political threat and the head of an obscure separatist group that the Chinese government has labeled the “Dalai clique”. This view is substantiated with a ban on the possession of the prominent spiritual leader’s portrait. A vigil for a self-immolating protester in India. But the government also has an explicit fear: of information sharing. In May 2012, the country’s state broadcaster China Central Television (CCTV) released a 41-minute-long documentary by the misleading and incriminating title of “The Dalai Clique and the Self-immolation Event”. At the time of its broadcast, there had been a total of 35 self-immolations. If the Chinese government was in any position to save face, the issue clearly needed to be acknowledged in order to quell criticism from the international community. But how were they going to share the documentary with the rest of the world and – in an effort to demonstrate their commitment to transparency – broadcast it in China without the general population actually seeing it? CCTV aired the film just after midnight on May 7 – not exactly a “primetime” viewing slot. Soon after its broadcast, the documentary was made available for viewing in both English and Chinese on YouTube. But as it happens, YouTube (along with Google, Facebook, Vimeo, and a host of other information-sharing websites – oh, and Amnesty International) is blocked in China. When it comes to constricting information flow from Tibet, the Chinese government has gone to great lengths to thwart the flow of information, and it makes you wonder: how many millions of dollars have been poured into employing enough people to police the internet so efficiently and extensively? But it’s not just about quashing information sharing by adding yet more digital bricks to the Great Internet Firewall of China or shutting down phone lines when a potentially controversial incident occurs. As the Chinese government is well aware, information doesn’t just flow online and via airwaves – it also travels on foot. Perhaps this is why obtaining a visa for China is such a bureaucratic nightmare and getting into Tibet is that much more difficult. 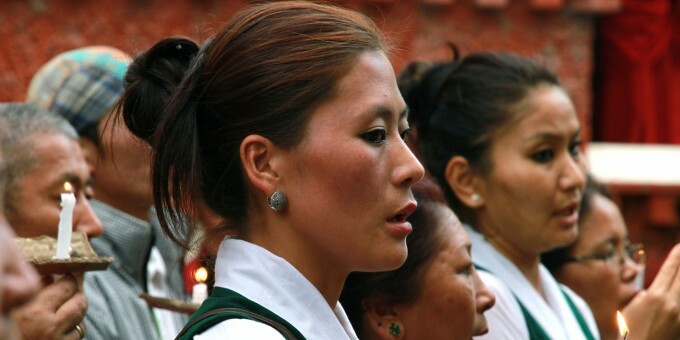 But it can be equally challenging for Tibetans seeking to leave the region. In August, I conducted a series of interviews with new arrivals from Tibet, which focused on their journeys across the border to the Tibetan Refugee Reception Centre in Nepal. One interviewee told me that permits are required when moving between provinces and that there are now more than 25 police checkpoints between the capital city, Lhasa, and Dram border crossing. There’s that paranoid fear again, manifested in ramped-up security.. 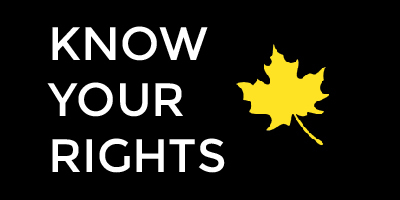 If the Chinese government is truly confident in its policies, practices, and human rights record, then certainly they would extend freedom of movement, the right to access information, and freedom of expression to all media and visitors – not just state media who are obviously inclined to walk the official line and organized tours who are guided through a censored version of Tibet. Katie Lin is a freelance multimedia journalist focused on human rights reporting. She has contributed to several publications, including IPS and IRIN, and most recently completed a communications fellowship with the Central Tibetan Administration in India. Can the Police Search my Phone?